Odysseus my lord among the rest. I might be happily renowned! But grief instead heaven sent me–years of pain. against my wish; and they consume this house. or herald on the realm’s affairs? That there is something true about each of these is perhaps practically apparent: there is repetition of lines which seem to detract from the quality of the dialog, Penelope’s actions do purposefully aid the beggar, the dialog is deeply psychological, and the recognition sequence is arranged according to a general paradigm of recognition scenes. But it is just too simple to say that Odysseus was aided by Penelope consciously or otherwise, and whatever bearing the poetic structure and repetition has on our discussion is analytic and not interpretive in nature–we learn nothing of the why of the situation. In some simple way all these scholarly arguments assume that Penelope wants Odysseus back and that Odysseus wants Penelope too. Such a crass statement will understandably offend what is the sentiment of love in the western conscious–the passionate falling-in-love paradigm of marriage. Too easily we assume that love is not marred by time and that once entangled a lover will never wish to escape. Our experiences say otherwise: relationships are inevitably destroyed by neglect, and duty, not passion, seems the characteristic of marital longevity. We must always keep in mind that Odysseus is ten years late to his own homecoming and that Penelope has before her continually the means to recreate her life with whatever suitor she might choose. The question before each of them as they move toward their inevitable reunion is why—why has Odysseus been gone from Penelope and Ithaca for so long, and why has Penelope refused either to deny a new marriage or to submit to another husband? The simple answer is that Odysseus was forced by fate to stay from Ithica and that Penelope remained loyal and patiently awaited him, but this is only half satisfactory. Odysseus had, after all, sought adventure after Troy, not home.8 And Penelope, however prudent and understanding, may still prove untrustworthy.9 In some fundamental way Penelope and Odysseus mistrust each other and must come to terms with their fear of betrayal. Odysseus fears that Penelope has been, or will be, disloyal and will choose some suitor over him. But more importantly he fears that Penelope has become independent and has no desire to reunite herself under him. Penelope on the other hand fears that the Odysseus who has returned is not the same man who left twenty years ago; she fears that he will be unable to reestablish order and to command respect in his house. More than this, however, Penelope fears being abandoned once more for glory and name-winning. And so, Odysseus sets out to question Penelope not just to test her loyalty but to determine whether she would give up her queenly independence and submit again to him, and likewise Penelope, testing Odysseus in turn, wishes to determine not only whether Odysseus is capable of ruling his house, but also to make sure he won’t abandon her and his homeland again. Such assurances, as we might call them, are the foundation of trust on which the reestablishment of their dutiful relationship stands. It is unreasonable to expect that Odysseus or Penelope would accept the other without first questioning and testing them. If all Odysseus required was proof of loyalty then surely his trial of Penelope is unnecessary. Odysseus had been told previously by trustworthy sources that Penelope is loyal and waiting for him, first by his own mother in the underworld and again by Athena “who assures him that she remains steadfast in her grief.”10 And as the dialog in book 19 progresses Odysseus’ deceit seems “to lose its justification.”11 After all, Penelope has just recounted to her husband how she longs for him and it is obvious even to Odysseus that she spurns the suitors. On the other hand, any suggestion that Penelope suspects or even recognizes that the beggar is Odysseus, but wishes simply for him to prove that he is the same Odysseus whose guile and cleverness dominates those around him, and whose intelligence naturally rules over men, is defeated by her sincere reluctance to reconcile with Odysseus in book 23. There Odysseus has proven himself; he has killed the suitors and he has restored order to his house. He is the man she had yearned for these last twenty years. And if she does not run to him then, she either really and truly has no desire to reconcile or she is only half satisfied with his proof and desires something more from him. After recovering from her tears Penelope declares that now she will test the stranger to see whether he speaks truly about entertaining Odysseus. That such a genuine outburst of emotion should come about before she becomes so skeptical seems out of place. And that she is so specific about how the beggar is to prove the truth of his story is in its own way curious. Other recognitions scenes ask simply for “ἀριφραδές σῆμά (a clear sign)” so that “πεποίθω (I would know it)” and not for anything specific. There is no real reason for her to disbelieve the beggars story, nor does its validity seem to increase in any way the likely hood of Odysseus’ return. She does not seem to gain anything by analyzing the beggars story unless she suspects that he is part of some plot surrounding Odysseus return,21 in which case Penelope is here asking for more than a clear sign that the beggar has met Odysseus. 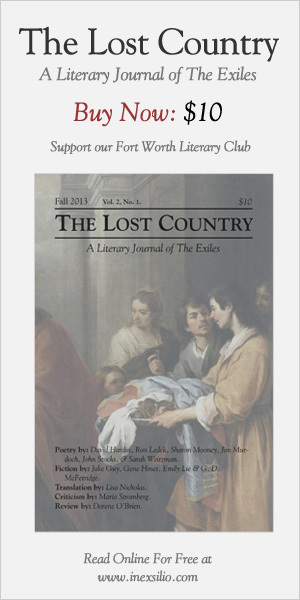 But what Odysseus gives to Penelope is not just a proof of identity, but a proof of loyalty. He describes how he was clothed when he set sail for Troy. He was clothed in a “χλαῖναν πορφυρέην οὔλην (a wooly purple cloak)” but we learn that he has many purple cloaks given by many people; ‘Aethon’ recounts how even he gave Odysseus a purple cloak and that this is no sure sign, since Odysseus received many gifts and “πολλοῖσιν ἔσκε φίλος (Odysseus was dear to many)”. That ‘Aethon’ does not describe his looks and build should immediately be suspicious. Instead, he describes his brooch of which the same general criticism, “οὐκ οἶδ᾽ ἢ τάδε ἕστο περὶ χροῒ οἴκοθ᾽ Ὀδυσσεύς, / ἦ τις ἑταίρων δῶκε θοῆς ἐπὶ νηὸς ἰόντι (I do not know whether Odysseus had these things things on his skin at home or whether someone of his comrades gave it to him going upon the his swift ship)” holds, but which nevertheless is sure 22. She is asking for concrete evidence. Not a ἀριφραδές σῆμά but a ἔμπεδα σῆμά23; not so that she might know if he truly met Odysseus, but so that she might determine if he is loyal. After this sign is revealed Penelope weeps again. This causes the beggar Odysseus to tell a different story. From 19.270 to 308 ‘Aethon’ weaves another story in which he has just heard from another man, king Pheidon” that Odysseus is on his way home to retake his house. The telling of this account is rather honest: it is more or less what happened to Odysseus. What is important about the story is twofold: first, it provides an ἀπολογία for why Odysseus has been absent for ten years longer than expects and second he swears an oath first on “Ζεὺς, θεῶν ὕπατος καὶ ἄριστος (Zeus the highest and best of the gods” and then on “ἱστίη Ὀδυσῆος ἀμύμονος (the house of noble Odysseus).” Odysseus wishes Penelope to know that his adventuring was not abandonment. Instead, “οἱ τό γε κέρδιον εἴσατο θυμῷ, / χρήματ᾽ ἀγυρτάζειν πολλὴν ἐπὶ γαῖαν ἰόντι (it seemed the better thing to him in his heart to beg riches going to all the lands.” That ‘Aethon’ would swear his story on the hearth of Odysseus is curious. Even granting that he has no hearth himself on which to swear, and this house of Odysseus from whom he gains guest-right is his only sustenance, even still the gesture is presumptuous. Oaths are a serious thing and they are made on that which is dear to you. Only Odysseus, and not some beggar, would have a right to swear upon his house. It is at this point that I believe Penelope sufficiently suspects the identity of the beggar. The washing scene is introduced to poetically assert this recognition from the point of view of the servant so that the reader is satisfied with the interchange: Odysseus has tested his loyal wife and won at least one friend, his old nurse.25 Penelope recanting her obvious hope for Odysseus return and stating instead that she knows he will not return is for me an indirect confession of her recognition of the beggars true identity. Odd as that may sound, she is hopeful and cautious elsewhere of Odysseus return, but only after this confrontation forward does she say explicitly (except in subterfuge to the suitors) that all hope is lost. The purpose of that comment is for Penelope to test Odysseus. 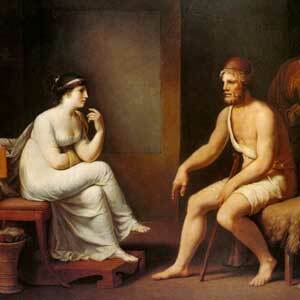 Penelope fears that Odysseus might care more for adventure and his name than for his wife and house. When Odysseus stands before her in disguise it is a partial fulfillment of that fear: here is Odysseus himself, but he makes no move to claim what is his. This, I think, is the sub-text of the denial, and why cunning Odysseus exclaims reveals his past, offers a defense, and explains that he will return. I take as further proof of this the fact that Penelope does not wonder or even question him further after this exchange, but instead sets about fulfilling her duties as a host. The dream that Penelope asks Odysseus to interpret is both an explanation and an admonition. Penelope uses the dream as a further vehicle to explain her behavior these past twenty years but also to urge Odysseus to action. The geese are in one sense the suitors, but in a more general and applicable sense they are the freedom and independence which Penelope has enjoyed these twenty years. Such independence is difficult to give up, even if it’s effects are undesirable27; The eagle is both an omen of Odysseus return and Odysseus himself; That he kills her geese is Odysseus’ test for Penelope–can she live without her independence; and that the eagle speaks to her in a mortal voice is an indication that she herself knows that Odysseus has come and claims her again. Her awaking (within the dream) and seeing still the geese before her is an admonition to Odysseus that he has not earned, yet, her obedience, since he claims to kill the suitors only in omens and promises. Such an interpretation would in part explain the odd sentiment Penelope feels toward the geese–that “σφιν ἰαίνομαι εἰσορόωσα (watching [them] warmed me)” and why she “οἴκτρ᾽ ὀλοφυρομένην ὅ μοι αἰετὸς ἔκτανε χῆνας (wail[ed] pitiably since the eagle had killed [her] geese)”–and it would go a long way in explaining the tangential problem both of why she speaks next of the gates of horn and ivory and why she suggests the archery contest.28 Likewise, Odysseus affirmation of the eagles interpretation of the dream is an acceptance of that general situation and an affirmation that Penelope can only prove her obedience to him if she gives him the opportunity to kill the suitors. And so we come to passage of the gates of horn and ivory. Penelope uses the allegory to tell Odysseus of her fear of abandonment and to declare to him the terms of her obedience. Penelope will only submit to someone who is worthy of submission. For Penelope omens and promises are fleeting words without force unless they find fulfillment. Only by action–only by revealing himself and taking up his house–can Odysseus earn the respect and obedience of his wife. When Penelope says to Odysseus that she does not think that the dream which she has recounted, the same revealing which ‘Aethon‘ just gave to her of Odysseus return, is from the gate of polished horn and therefore fleeting and untrue dream, she is speaking truly (Odysseus has come but hasn’t revealed himself) but she is also urging Odysseus to reveal himself. That Penelope will submit to Odysseus should he reveal himself is made clear by the clarity and forcefulness of her decision to follow whichever of the suitors should win the contest; such a contest presumably puts Odysseus on the same level as the suitors, so far as his right to win Penelope–but that Odysseus is the better man Penelope knows since he used to easily accomplished the feat. What is important, especially for Odysseus, is not that he is given the means to defeat the suitors, but that his wife has made a firm decision regarding marriage and her independence: she has chosen to be married and to submit herself to her husband, whether to him or to another. The dialog concerning the contest sets up the condition for Odysseus to win back Penelope in more than one way. He wins his house back from the “μνηστῆρας ἀγαυούς (the illustrious suitors” but he also wins the obedience of his wife. Likewise, Penelope, on the other hand, gains the dedication of a dutiful husband and the protection of an able lord. Book 23 becomes more interesting in light of this interpretation. We are not so surprised at Penelope’s exclamation to Eurykleia since it expresses both relief and a confession of her previous indecision. Penelope does not admonish Eurykleia because she does not believe Odysseus has killed the suitors but because Eurykleia has presumed that Penelope had desired the suitors to be killed. We remember her sentiments about the geese in her discussion with Odysseus in book 19 and we understand that whatever her desire for Odysseus she will still lament the loss of her geese. Her reference to her sound sleep is a subtle reaffirmation to herself that she has awoken from her dream-state where she was independent and needed not submit to Odysseus or any other man; that it was sound and the sweetest since Odysseus has left is a recognition of relief at having made her decision to submit to whoever should win the contest–a submission and obedience she once owed to Odysseus. She is, of course, overjoyed that it is Odysseus who has won, but she is aware that she would need to submit to the victor regardless. The statement which, I think, causes Penelope “ἀπὸ λέκτροιο [θρώσκειν] (to leap from the bed)” and “βλεφάρων ἀπὸ δάκρυον ἧκεν (tears pour forth from her eyes )” is the statement that Telemachus “μιν πάλαι ᾔδεεν ἔνδον ἐόντα, / ἀλλὰ σαοφροσύνῃσι νοήματα πατρὸς ἔκευθεν, / ὄφρ᾽ ἀνδρῶν τίσαιτο βίην ὑπερηνορεόντων (had known long before that he had come here, but he hid the design of his father with discretion until he could punish the violence of the overbearing men).” This is because it proves indirectly Odysseus intention to fulfill what he had revealed to Penelope, that he is coming home for good. The final interchange between Odysseus and Penelope is also now not quite so mysterious. Far from being a moment of recognition, it is a moment of mutual reaffirmation of their implied promises–that Penelope will submit and that Odysseus will remain. Although it is framed in terms of a test, of which Penelope wishes for her ἀριφραδές σῆμά, we find out through Odysseus angry response that this is not so. We remember that Odysseus has been given clear tokens of Penelope’s fidelity, first by his mother, then by Athena, and finally by Penelope herself when he tested her. Odysseus, we remember, begins the conversation and directs it toward the topic of the marriage bed. He wishes to point out that he had once made for her an physical representation of their rooted promises in marriage. Penelope answers and obediently demands that Odysseus will be accomplished, but not before chiding him. The point is clearly and fairly made: Odysseus promises not to abandon his marriage and his house, but this is a promise he has made before and sealed with a physical symbol. The bed, unless Odysseus does remain, is movable. To clarify, Penelope does not frame the test around whether the man before her knows, as only Odysseus would know, the secrets of the bed. This is clear from the immediate dominion which Penelope does not contest when Odysseus orders the servants to wash him and to array the hall as if the suitors were still alive. Instead, Penelope presses Odysseus so that he would admit and reaffirm why he built the bridal hall: his commitment to his house and their marriage. Interwoven into this test is a response to Odysseus’ own firm question about whether Penelope will obey him: she does not hesitate to order her servants to obey Odysseus. Odysseus responds angrily because he is offended that his wife would dismiss his loyalty so simply and so soon; he responds “τίς δέ μοι ἄλλοσε θῆκε λέχος; (but who has put my bed elsewhere? )” Odysseus recounts the building of the bed not to show that it could not be moved physically, for even a simple man could move the bed.29 The bed as a symbol, however, cannot be moved, and it is this symbolic bed that Odysseus means when he describes with what care and diligence it was built.